Another one on "supposed" freedom of speech.. I have almost screamed several times that freedom of speech is not absolute! i particularly emphasized on that here. The dutch MP who created an extremely anti muslim film has been denied entry to the UK on grounds of inciting religious hatred. That apart i am impressed by British Foreign Secretary David Milibands example on distinguishing between freedom of speech and the extent to which speech is free.. 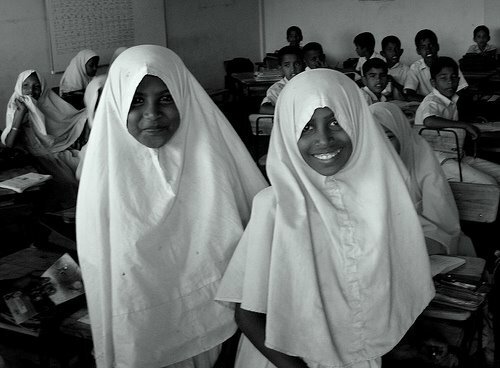 He added that the film contained “extreme anti-Muslim hate and we have very clear laws in this country”. so much for those who think they can bellow CHINTANAYAAA!!! in a loud hoarse voice in public if a VVIP’s garment was comes off! 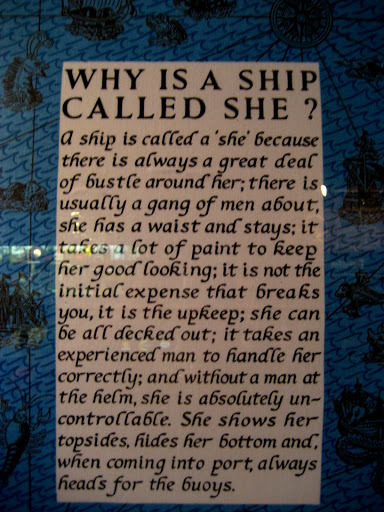 Why a ship is called a She.. The other day i had a site visit to Lindisfarne,Holy Island. This is just off the Northumberland coast. After walking a good couple of miles in the muddy terrain in surprisingly warm winter sunshine i had worked up a very good appetite and the thought of fish and chips was very alluring. This was more so since my mates kept going on abt it. Lindisfarne is a very remote Island and the first few places that we found that suggested that there may be food inside were a few old pubs which boasted of an exciting history. The pub which we happened to go in was a proper sailors pub,not surprising since the pub was located very close to the beach.